This coat looks great wherever you wear it. 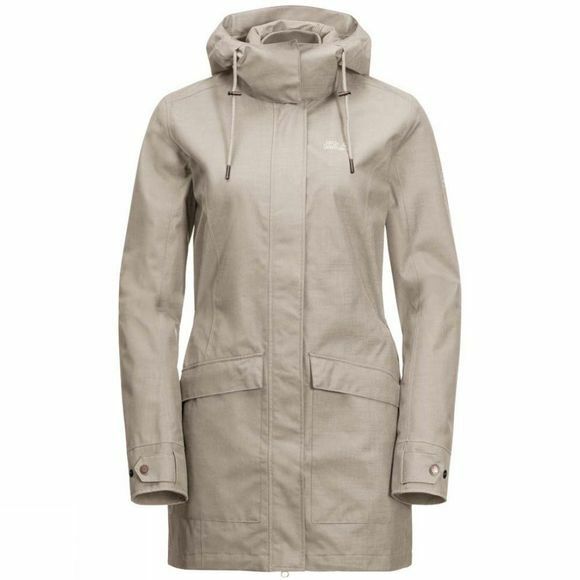 And thanks to the Texapore Ecosphere, the Womens Rocky River Coat is also waterproof, windproof and breathable. The coat is made entirely from recycled fabric, so it feels twice as good to wear. It has a timeless, classic look that teams well with pretty much everything in your wardrobe. Wear it with jeans and trainers, or dress it up with a smart top and heels. The waist draw cord lets you cinch it in at the waist to create the shape that suits you best. You can even style the hood the way you want it: button it up to protect your face from the rain or leave it loose for a sportier look. For a more classic look, simply detach the whole hood.